It seems like the older you get, the more your focus shifts from style to size and comfort. So when you think of Chrysler, you think of full-size sedans for dignified, stately drivers who have gotten over their midlife crisis. Along came the Chrysler 300 four years ago, and everything changed. Now drivers of all ages have seen that you can roll around in a big sedan and look cool and classy at the same time. Not one to stand pat, Chrysler has made some noticeable changes to the 300 for 2008. The 300 gets an updated exterior, re-modeled control panel, and cool new options, including Sirius Backseat TV and Surround Sound audio. You also get side airbags for the front seats. The Chrysler 300 comes in seven convenient trims. When it comes to engines, the 300 offers a wide range of choices. The base LX uses a 2.7-liter, 178-hp V6, while the upper-level Touring and Limited trims use a stronger 3.5-liter, 250-hp V6. Finally, the premium 300C has an impressive 5.7-liter, 340-hp V8. Gas mileage across the trims averages out to about 16 mpg in the city and 24 on the highway. The Chrysler 300 gets high safety ratings and provides 15.6 cubic feet in the trunk. Overall, critics like the 300's available V8, style, interior room, and comfort. I've seen this car on the road a few times, and I certainly take notice, especially when it comes to the prominent grille and well-defined contours. On the other hand, shorter, smaller drivers may have a slightly harder time operating the vehicle and seeing the road from within its cavernous interior. Drivers also believe a big sedan like the 300 should have more trunk space. Overall, the 2008 Chrysler 300 provides the power and style to satisfy even the most discriminating full-size sedan fans. 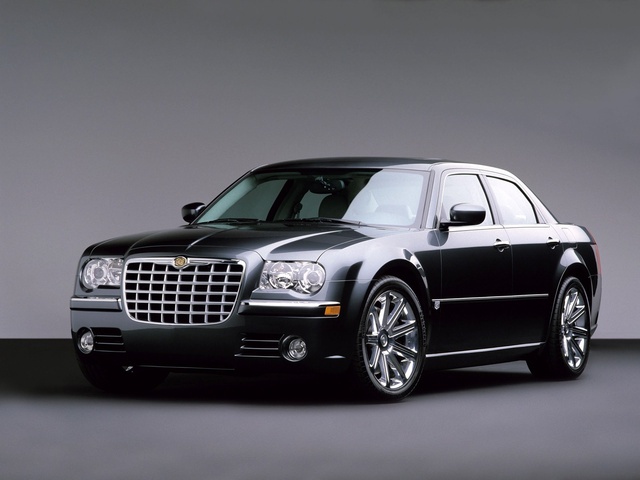 What's your take on the 2008 Chrysler 300? Users ranked 2008 Chrysler 300 against other cars which they drove/owned. Each ranking was based on 9 categories. Here is the summary of top rankings. Have you driven a 2008 Chrysler 300?